It's time to start talking ticks. Spring signals a particularly active time for ticks, just when gardeners get antsy to get their hands dirty, working in their gardens. For anyone looking forward to spending time outdoors, be warned: Tick-borne disease is on the rise. New data reported by the CDC in 2018 showed that state and local health departments reported more cases of tick-borne diseases in 2017 than ever before, including Lyme disease. While the reason for the uptick in ticks remains unclear, a number of factors can affect tick populations, including temperature, rainfall, humidity, and most certainly, host populations, like deer. Although ticks can thrive just about anywhere in suburbia, it's common that they prefer wooded areas, gardens, plantings, and tall backyard grasses. One reason ticks continue to flourish is their propensity to hang out on shrubs and in tall grass waiting for unsuspecting hosts – like your dog or deer – to wander by so they can latch on and hitch a ride to your backyard. We know that deer have made themselves at home in suburbia and most of us have seen more than our share of deer right outside our windows. When you see deer outside, it's likely that ticks have hitched a ride and will stay behind when the deer move on. Ticks need a host to survive and they find a perfect host when attaching to your dog, cat, or any human in close proximity. Avoiding the outdoors during warm weather isn't an option, so prevention and protection are paramount when it comes to dodging ticks and defending yourself against tick-borne illness. There are a number of strategies to keep deer at bay, including physical barriers like fencing, but fencing can be unsightly and deer can jump two feet higher than allowable suburban fence height restrictions of six feet. 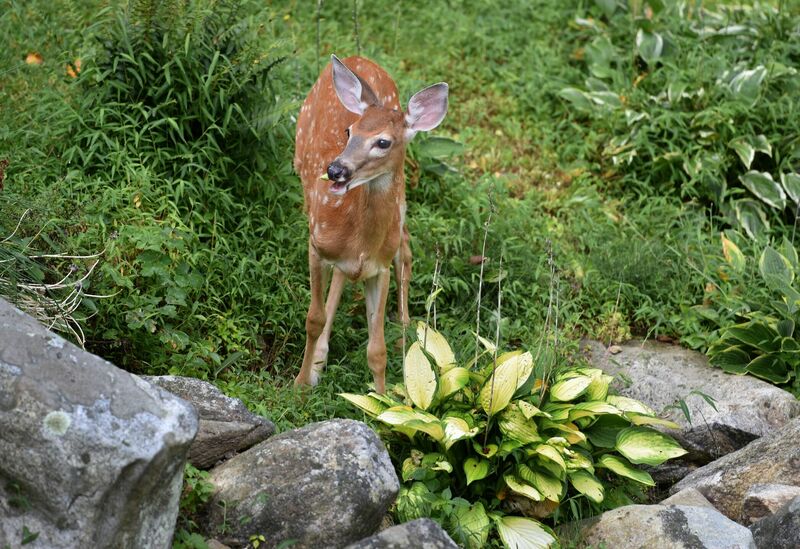 Planting deer resistant varieties like marigolds, foxgloves, boxwood and rosemary could help, but when food supply is low, deer will eat just about anything. 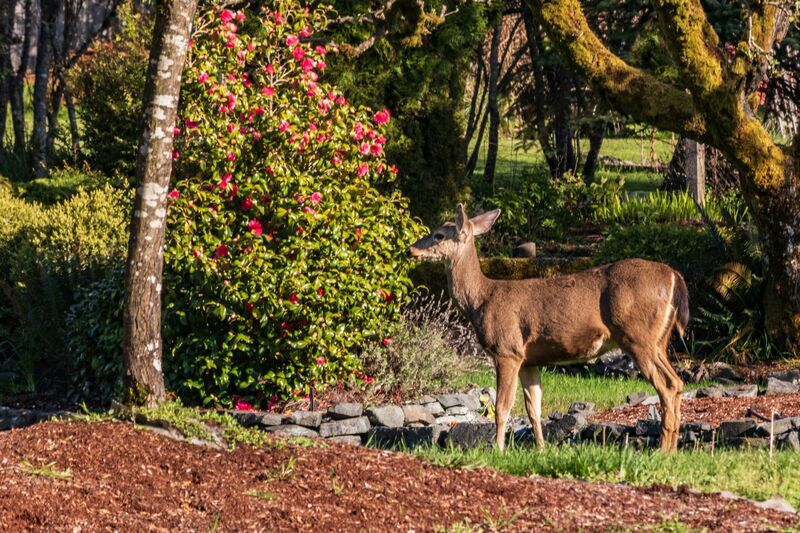 Motion deterrents positioned near your garden can scare deer off, however you'll have to continually reposition them since deer will become acclimated and won't be scared away. Back to logic. We know deer rely heavily on their sense of taste for feeding and smell to alert them to predators. Using a scent aversion, fear-based repellent like Bobbex Deer is often considered the most effective, practical, and easy way to keep deer out of your yard, and turn the tide on ticks, keeping them out too. Repellents make good sense. There are quite a few repellents to choose from but Bobbex Deer works. It's third party verified through testing by the Connecticut Department of Forestry and Horticulture. Bobbex trumped nine other repellents products, was cited number one in comparison testing, and second in effectiveness only to a fence barrier. Bobbex Deer Repellent combines scent and taste deterrents. The all-natural repellent blends six scents, including rotten eggs, garlic, and clove oil (among other things), to mimic predator scents, classifying it as an effective fear repellent. It also tastes terrible to deer, but is actually good for plants because it contains trace nutrients including nitrogen and phosphorus. The product dries clear, is harmless to humans and pets, won't burn plants and its odor, after 24 hours, is undetectable to humans, but deer are still repelled by it. Bobbex is safe for use on the most sensitive plants and can be used on shrubs, trees or as a bulb dip.